Dirt is free. Unless you live near the beach, you'll probably have to buy sand. I like using dirt because it keeps me close to the Earth, and the herbs, roots, and minerals I work with like it too. I use salt when I do house cleansings, but at home I use dirt. Im really glad I asked.this question. I love the idea of using dirt and bringing more of the natural element to the rootworks. Now THIS feels right to me. Im definitely a dirt.convert now. I never see it mentioned anywhere on here though I thought the norm or standard was.sand. I think I might use the salt only when I want to use incense for a home cleansing to remove negativity just as DeviSpring mentioned. Thanks Mama Micki and DeviSpring. I am always careful with the collection of dirt. In conjure we believe strongly in the spirit of the earth and its tie to us and the places we gather from. We gather dirt from a grave to get the aid of that spirit of the dead, we gather crossroads dirt to invoke the spirit of the crossroads, we gather dirt from where a cat and dog have fought to capture the violence and fussing etc. So if you were using dirt from outside your house don't burn anything negative on it. I wouldn't want to burn hot foot or crossing candles on dirt that is associated with your home. Conversely, burning drawing and blessing candles and similar types in your home's dirt would be great. In other words remember that any old dirt still carries some spirit in it. ConjureMan Ali wrote: I am always careful with the collection of dirt. In conjure we believe strongly in the spirit of the earth and its tie to us and the places we gather from. We gather dirt from a grave to get the aid of that spirit of the dead, we gather crossroads dirt to invoke the spirit of the crossroads, we gather dirt from where a cat and dog have fought to capture the violence and fussing etc. So if you were using dirt from outside your house don't burn anything negative on it. I wouldn't want to burn hot foot or crossing candles on dirt that is associated with your home. Thanks ConjureMan. This is a great observation and one that didn't occur to me as I was reading this thread! I've used dirt in spiritual work, but only in particular circumstances--like when I was actively trying to get hired at a particular place by taking dirt from that place. I never thought that I might actually lay something on myself by using my own dirt. ConjureMan you make a great point. I love the idea of using dirt for burning the herbal insences because of the fact you mention, it carries a spirit and that spirit helped nurture the herbs. I would not use my dirt for the negative works though as I dont want the negativity recycled on my property. I know this if off topic from my original question but since we are talking about using dirt now .... Is it ok to work a vinegar jar spell in a hole in the dirt in my backyard? Its not buried there its just in the hole while I burn the candle on it, then I return it inside behind a toilet. I have an electrical incense burner. Can I burn these powders one at a time Like a few pinches of each? Yes, that is perfectly acceptable and is often done. The powders don't require a burner, as they are self-lighting. So you just need a heat-proof receptical to burn them in. You'll just want to shape them into a cone, and then light the tip...they will stay lit by themselves and burn down. Also, incenses can be mixed together. First, though, burn them separately, so you have an idea which fragrances might harmonise together; you don't want to make yourself cringe. Exactly MissMichaele, the ones jujuman listed seem to mix well but check as MissMichaele indicated. Thank you all for the helpful information. Another order arrived today and my uncrossing incense powder and the incense brazier are now here The question I have is, must I line the incense burner with sand (it is the Copper and Brass brazier from Nepal), and if so, how exactly is it done and what kind of sand is best? Or is this step not necessary with the LM incense powders? Just place a layer of clean sand in the bottom. This is to keep the incense from repeatedly heating the metal to the point that within a few years the metal will become fragile or burn out. The sand helps dissipate excess heat. Incense Brazier, Nepal, Three-tone Copper, Brass, Nickel, 5 1/2"
Alright! Thank you Miss Cat! I am learning so much from your website-- a huge thanks to you for all you do! Yes, for all my blessing/healing/drawing work I just use dirt from my property. You can also use salt in a pinch! Does anyone know how long LM self lighting incenses retaing their freshness? I have had some incenses from LMC for over 2 years and they still work. But you have to keep them in a cool, dry place. Humidity is not good for them. I have all of my Lucky Mojo Incense (resins as well as self-lighting powders) in small, airtight, amber round jars. I have some that have lasted multiple years (at least 3) and are still very, very fresh. Same goes with any of the sachet powders as well. Baths too! I hope that helped you! Thanks. Actually I do already keep my powders in baby food jars and I believe it does help to retain the freshness/fragrance much longer. I have some LM incenses that are 6+ years old. They still smell great when they burn. Another thing that I do to make sure my incenses (and also herbs) don't get damp, it to use the little dessicant packets that often come in vitamins and other suppliments, and sometimes even with shoes, and put one in each glass bottle I store the the incense in. It works really well! Devi Spring wrote: Another thing that I do to make sure my incenses (and also herbs) don't get damp, it to use the little dessicant packets that often come in vitamins and other suppliments, and sometimes even with shoes, and put one in each glass bottle I store the the incense in. It works really well! You can also use rice in a cheese cloth tied with a string, kinda like the use of rice in salt shakers. Ah yes the ever absorbing rice! Great idea! Works wonders with minor wet cell phones and small electronics as well. This has turned into a very nice little discussion of keeping our Lucky Mojo Incense in tip-top condition! Very nice! I've never worked with incense and I notice on MJ attraction spell kits it says to put incense into cones and then turn out of cones, I'm not sure what they're talking about. Do you burn the incense in the incense burners without cones or loosely by itself in the burners? My question is basically about technique. When i light my inscense, i have at least one candle burning. Sometimes i have a white,red,and green one burning at the same time. I usually shower before i begin. I light my inscense and get relaxed. I usually have some quiet meditation music in the background. I then close my eyes and focus on my 3rd eye and begin to visualize the end result of whatever im wanting. I will do this for about 10 mins. Afterwards, i give thanks to the Universe and ask that no one be harmed in the way of my desires manifesting. Just wanted to know is this a good way of doing Incense Magick? 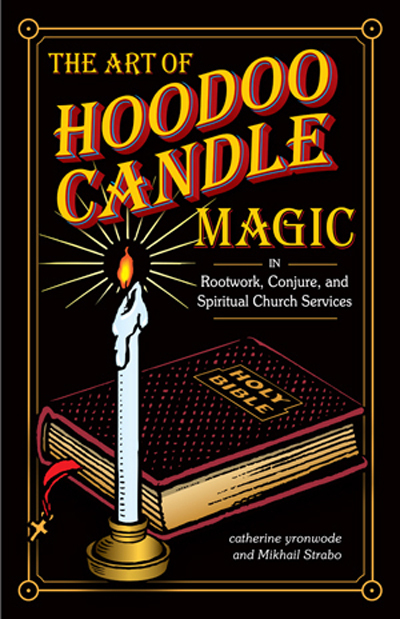 In the hoodoo tradition, incense is often used as part of spell-work rather than as a magickal practice in and of itself; you can read about the use if incense in conjure here: http://www.luckymojo.com/incense.html. There are a couple of exceptions such as when a person or place is ''smoked'' to remove crossed conditions, or protect them. Mojos can also ''smoked'' when being brought to life. Another such exception would be the burning of either incense; herbs; sulfur; or a combination thereof, on an enemy's property to cross them up. In these cases, we're talking about the smoke of the incense itself or the object burned being the active agent in the magick. Incense is also a potent agent to carry your messages to God (or another spirit, person and/or place); again this is often within the context of more elaborate spell-work. In this regard however, meditation and visualization exercises as you describe below are fine and if you're getting results - then you're doing it right. I ran out of sand in the bottom of my incense burner. Devi, you mentioned that salt can be used in an incense burner, does that include table salt? If not, what about mud? Can uncooked rice be used to line the burner also? Stacey wrote: Devi, you mentioned that salt can be used in an incense burner, does that include table salt? Can uncooked rice be used to line the burner also? Rice would burn and probably stink,lol, so no rice! Ok, thanks for responding to my question Turnsteel. I have always used salt. It works perfectly fine. Thanks Robert, I appreciate your help. A handful of small pebbles will also work well. Pebbles....I never knew that, thanks Miss Cat. It's good to know and have all these options. Everyone has been very helpful...thanks. If your dirt doesn't have lots of plant-bits in it -- fragments of dried leaves, stems, and roots -- it might work. Dried plant matter might catch fire or smoulder. I am a bit new to using incense in magick and am wondering if it means anything when the incense smokes really alot? I had to open my windows and turn on the fan just to get it out of the room because it was smoking so strongly. I hope that doesn't mean anything bad. If this is something regular, I think I will just use oils or my soy/beeswax candles in the future. Thank you! I appreciate your input, Aura. The information really helps! Hi, Pristenella. I have found a great way to burn loose herbs blended into incenses. I first light a charcoal disk and place it on my brazier, then add the loose herbal incense blend. Then atop that I place a cone of LM self-lighting incense powder, but do not light it. I allow the charcoal to burn up through the herbs and into the bottom of the incense cone. The result is a very steady, long-lasting burn. The incense powders actually coal over, like a banked fire. The LM powders give my herbal blend an amazing fragrance and produce a lot of lovely smoke. I have used this technique several times now and really enjoying burning incense this way. I also like crafting my own incense blends, but I have to say I am 100% sold on the LM self-lighting powders. They complement my own mixtures wonderfully and I can't wait to try more varieties. How do you actually "smoke" a person or oneself with incense? Do you light it, than blow it out like normally than how is the smoke applied to the person so that they're Smoked? To answer your question, there are a number of different ways to fumigate a person. I was taught that it's disrespectful to blow on incense, although your mileage may vary. The simplest way would be to just waft the smoke over the person with your hands. You may find it easier to place the brazier on a safe surface and have the person stand over it with a leg on each side. A little "quick and dirty", but it serves. Another option would be to make a bundle of fresh herbs to fan the smoke over a person whilst simultaneously stroking them with the herbs held in the other hand in the appropriate direction; e.g. head-to-toe for works of removal and cleansing, toe-to-head for works of drawing and attracting. I've used fresh rue, basil, and rosemary this way although those herbs may not be appropriate to every work. A paper fan, or more commonly a feather fan, could also be used in a similar fashion. Lucky Mojo sells a wonderful black chicken feather duster that could be used this way and also do double duty by giving the person a good old fashion sweeping. You could also set the brazier on a safe surface and set a chair over top of it. Have the person to be fumigated sit in the chair and drape a large sheet around them to contain the smoke. This works very well, but be sure to keep the sheet clear of the burning material. Lastly, a thurible could be used to gently swing the smoke towards a person. 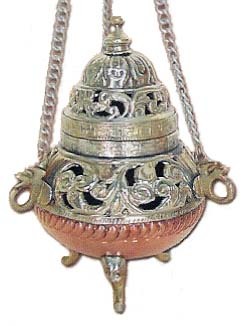 These are the type of chain censers that you can see at a High Mass or Orthodox Divine Liturgy. For incense braziers, thuribles, charcoal, and feather dusters, see the Altar Tools and Ritual Supplies page. Tristan, would this method also be effective on a doll baby or a figural candle? RhiannonWyt -- Yes, this would wok on a doll baby or a figural candle, and in fact it is a common practice. I have recently been using some negative incense while burning black candles on top of a vinegar jar. I like the added layer to the work but am a little concerned about cleaning the space after using the incense. 1. Will this negatively affect my dog who is sometimes in the room while the incense is burning? He's not bothered by the smoke. I'm more concerned with the energy. Should I lightly spritz him with the chinese wash/water spritz that I use to wash my hands? I've also got some Peace Water and Florida Water but the Florida Water is a bit heavy for a dog. 2. I have a love altar across the room, about 10' away. To what extent should I clear out the smoke from the incense to keep it from affecting my love altar? The work done on each side of the room is complicated and meant for the same target, although obviously from different angles. I have been spritzing a chinese wash/water solution from floor to ceiling in between the two altars after burning a black candle and/or incense and after the smoke has cleared the room prior to working with anything on the love altar. You can do one of two things, keep you pet away from your negative work or follow your recommendation. After doing negative work, it is advised to cleanse your entire area as you seem to indicate in your post. 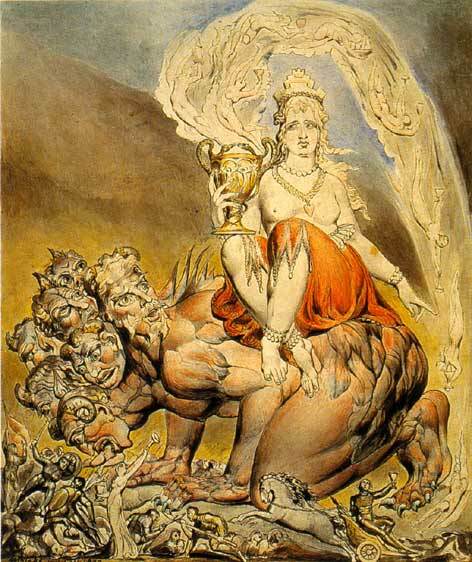 For my spell, I've been making cones mixing Money Drawing, Money Stay with Me, and Steady Work incenses. 1/2 tsp each of the first two, and 1/4 tsp of Steady Work. This has been as part of a larger combined Money Drawing/Money Stay with Me spell, in conjunction with a lodestone sitting atop bills and a green 7-knob candle. Anyway, just now, I lit the tip of the cone, and as always, it burned for a moment before the flame went out and it started to smoke, per usual. However, after it burned down some, it caught flame again for a moment before settling back down to normal. Has this ever happened to anyone? A cone of incense re-igniting like that? Do you see it as a sign of anything, or a purely physical/chemical reaction? Any input is welcomed. Thanks! I can't offer insight on any possible oracular significance, but I've even had stick incense catch a hot spot and reignite before. I think this may have something to do with the amount of moisture in the mix. My charcoal disks have been doing the same lately, lighting, starting to burn as normal, going out, then suddenly reigniting and ... even exploding. Also remember the fire still burns under those ashes of the cone, it's possible they stayed smoldering even though you thought it was out until hitting some extra dry powder or a bit of herb to re-ignite. heartexalted, it happens. After all, you are working with Incense...sometimes it will not burn all the way through and sometime it does. It just means to turn the paper form over to let the cone of pressed incense fall out. hi, i ordered a pack of incense powder but im not sure how to go about using it. 1) I read on LM that im supposed to fold a paper cone and fill it with the powder. my question is how big? 2) ! intend to use it to smoke my mojo bag. do i burn it all the way down? 3) Also due to privacy, i intend to burn it in my room with windows closed and all, with only air conditioning on, is it ok?